Unraveling the molecular basis of immune recognition still represents a challenging task for current biological sciences, both in terms of theoretical knowledge and practical implications. 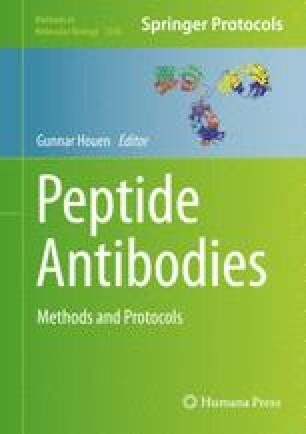 Here, we describe the physical-chemistry methods and computational protocols for the prediction of antibody-binding epitopes and MHC-II loaded epitopes, starting from the atomic coordinates of antigenic proteins (PDB file). These concepts are the base of the Web tool BEPPE (Binding Epitope Prediction from Protein Energetics), a free service that returns a list of putative epitope sequences and related blast searches against the Uniprot human complete proteome. BEPPE can be employed for the study of the biophysical processes at the basis of the immune recognition, as well as for immunological purposes such as the rational design of biomarkers and targets for diagnostics, therapeutics, and vaccine discovery. All authors contributed equally to this new version of the Web tool BEPPE. This project was supported by EU’s FP6 (“BacAbs”, ref. LSHB-CT-2006-037325) and the Cariplo Foundation (“GtA”, ref. 2009-3577).